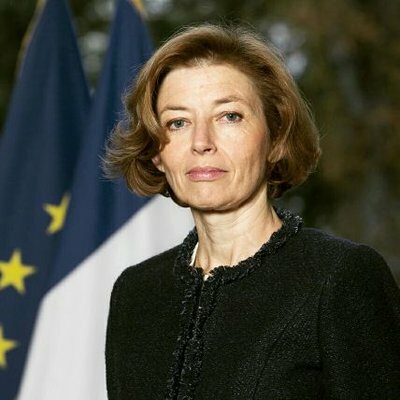 Baghdad (IraqiNews.com) The fate of French jihadists who operated as part of Islamic State extremist group detained in Iraq should be decided by the Iraqi judiciary, according to French defense minister, Florence Parly. According to Iraqi Alsumaria News, Parly, who is on a visit to Baghdad in which she met with President Barham Saleh, said in statements that “judging French extremists detained in Iraq is up to the authorities of that country”. Asked about the fate of French nationals detained in Syria, Parly replied :” I am not publicly going into scenarios that could endanger the safety of the French, I feel that my professional responsibility is to avoid the escape of a number of jihadists”. Iraqi prisons host hundreds of wives and children of foreign fighters who had been killed or sentenced for fighting alongside Islamic State militants. Iraq said late 2017 it regained control over all territories occupied by the terrorist group in 2014. Last month, French Justice Minister Nichole Belloubet said in statements that her country would intervene if a French jihadist was sentenced to death in Iraq or Syria, echoing a common European Union policy prohibiting the application of capital punishment.